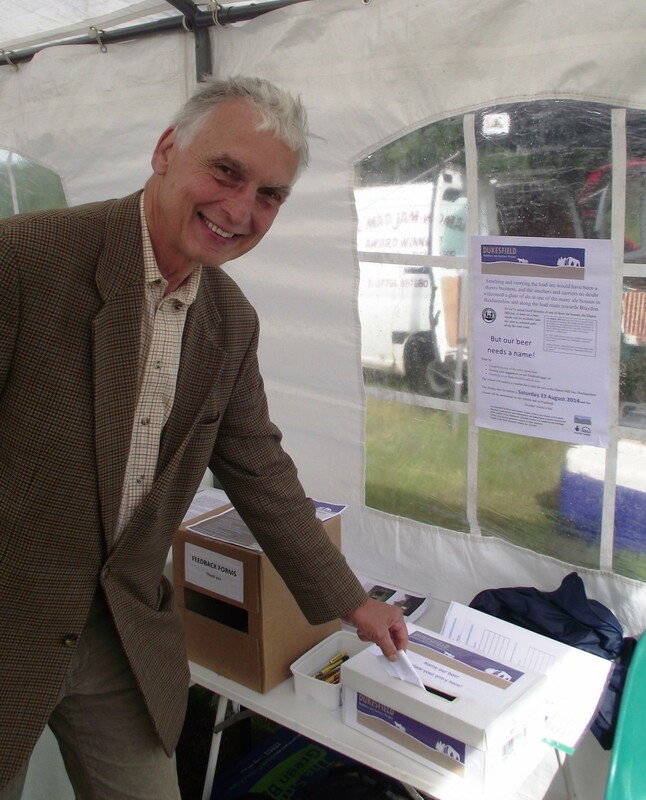 The voting booth to name the beer that Geoff Brooker of the Hexhamshire Brewery and Dipton Mill pub is going to produce in the autumn was visited by many at the Slaley Show on Saturday – including by Robert Forster. Robert is from the local family of Forsters amongst whom were the one time licensees of the Dipton Mill in the 1820s – and also lead smelters at Dukesfield. How great is that? « Name Our Beer competition!